Hotel Fairmont Baku was awarded the Best Business Hotel Luxury at the annual event organized by the World Tourism Forum Awards 2016 in Istanbul. “It is our honor and pleasure to receive the award and recognition from the leading organization in the field of tourism - World Tourism Forum Awards - for providing high quality service to our guests,” said General Director of Hotel Pascal Leprou. 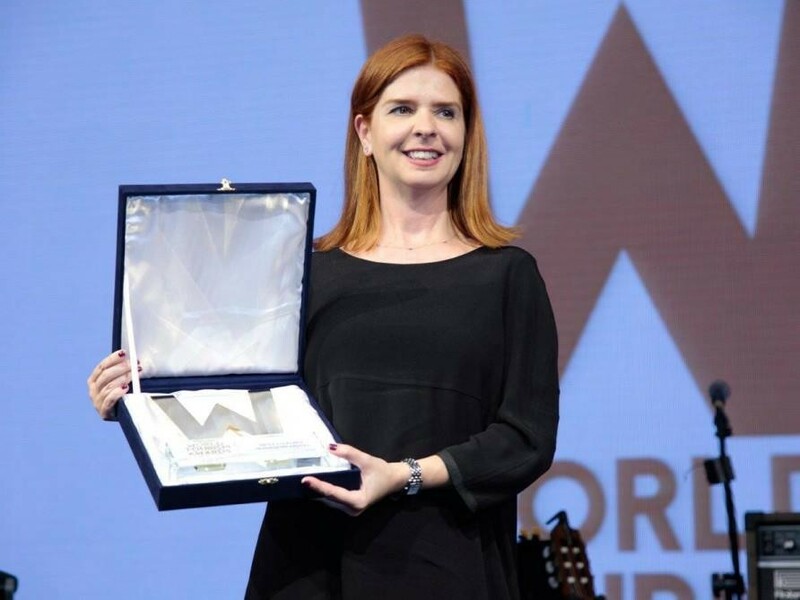 World Tourism Forum Global Meeting was held on 4-6th February 2016 in Istanbul, the most visited touristic city in the world and the capital of mixed culture, history and traditions of Europe and Asia. World Tourism Forum was founded with a purpose of delivering value to tourism industry around the world by building and providing a platform for discussion of socio-economic, cultural and technological aspects of the global tourism industry. It is a meeting place to bring together the world’s Tourism Leaders and travel professionals for 3 days. Fairmont Baku is located in the northernmost tower of a multifunctional complex Flame Towers designed by HOR International. Five-star Fairmont Baku Hotel features picturesque views of Baku City or Caspian Sea. Guests are offered rooms with iPod dock station and a coffee machine. Modern air-conditioned rooms at Fairmont include contemporary décor and a flat-screen TV. A spacious work desk, fully-stocked minibar and panoramic windows are also fitted in all rooms. A rich variety of dishes is served in Fairmont's Le Bistro Restaurant, which also offers French cuisine. Original and traditional cocktails can be enjoyed at Nur Lounge Bar.